When you tell someone that you are a remote worker, the other person often gets an image of a person on a hammock, laptop on the lap, one hand typing and the other one holding a drink. The truth is, most remote workers are not trying to live on a shoestring budget while travel writing. They only want to enjoy a higher quality of life while creating other benefits, like financial security that adds freedom to do more. The above implies to Serbians as well. These highly educated and experienced people offer great value for remote employees. Because of their lower cost of living (and therefore ranges of salary in Serbia) compared to the rest of Europe, they are always looking for more opportunities to work remotely for an extra income. As remote companies have evolved and expanded, so has the nature of hiring remote workers from all over the globe. Hiring remote workers has become a tug of war between quality versus trying to cut costs wherever possible. The population in Serbia is only around 7 million, so the chances of finding the highest number of remote workers are low. However, when you consider the proportion, you will see that for every 1000 people in Serbia, at least three of them work remotely. And this is why we want to explain in more detail why employers should analyse their salaries for Serbian remote workers. Serbia is not the only eastern European country with a high proportion of remote workers. The eastern Europe average salary for many of these countries are still low for traditional employment. It is understandable why many of the citizens turning to remote employers from other states with higher rates have become so popular. Even though there has been a slight sustained increase in the average eastern Europe salary following the gradual rebound from the economic crisis, it is still lower than the rest forming part of the European Union (EU). Even most east European countries that became new EU states still have lower average salaries (usually less than €500 per month) than other EU countries where the minimum wages are higher than €1000 per month, despite the annual minimum salary growth. Serbia forms part of the Central European Free Trade Agreement (CEFTA), a trade agreement between non-EU countries, which consist mostly out of south-eastern Europe countries. But, once a country joins the EU, its CEFTA membership is terminated. More than half of the import-export exchanges in Serbia are with EU states, which forms an integral part of the country’s economy. Serbia applied to become part of the EU in 2009. Croatia joined the EU in 2013 after a decade-long application process. When a country gains EU membership, it adopts the Euro as its currency. The EU increased pressure on Croatia’s government to reduce its high public debt and privatise non-strategic assets. These processes stabilised Croatia’s economy a bit more than where Serbia currently finds itself. Serbia is still recovering from years of global economic sanctions and damages that the civil war caused. The global financial crisis exposed structural weaknesses in their economic growth and progressed the need for fiscal consolidation and acceleration of the rough transition from statism to a market economy. The country’s growth back in the early 2000s was mainly driven by domestic consumption that led to unsustainable imbalances. High unemployment and stagnant household incomes (due to low average wages) are ongoing problems in Serbia, plus public debt doubled between 2008 and 2015. The government that formed after the elections in April 2016 slowly implemented structural economic reforms and broadened the focus to include social sector transformations. Even then, the government experienced only minimal changes, enabling them to maintain reforming state administration, public finances and the economy. The program focuses on ensuring economic and financial stability, ensuring no further debt is accumulated. Their goal is to create an environment for the economy to recover and grow to raise the living standards for citizens and foster employment. Many large state-owned enterprises are being looked at to be reformed and eventually privatised to lower political influences and corruption. Inflation is now under control, and the budgets have stabilised. They are also still able to pursue the EU accession process. From January 2019, the minimum wage per hour in Serbia will be increased from RSD143 (around €1.21) to RSD155.30 (about €1.31) for all employees. 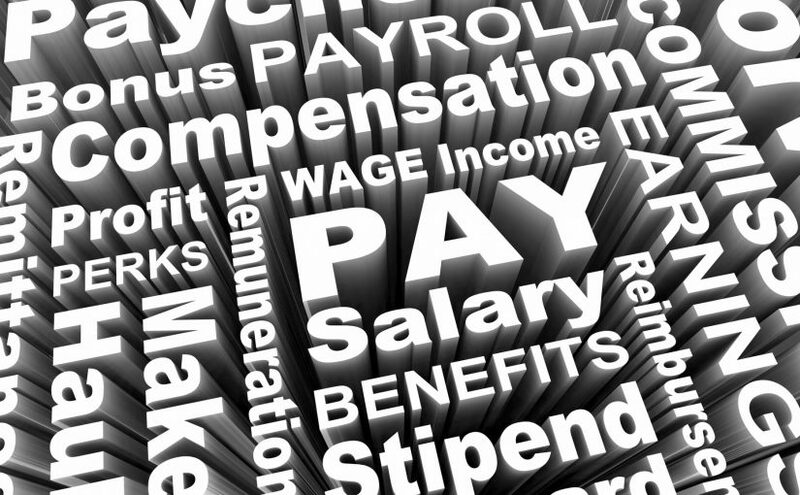 There are no salary caps or other limitations on payment methods. Serbia is still in the process of resolving issues related to labour shortages. The number of jobs that are available in some sectors exceeds demand. Serbia has one of the lowest minimum wages, along with Bulgaria, Romania and Montenegro. The minimum wage in these countries is less than €300 per month. The average monthly gross salary in Serbia is around €428. It is expected that Serbia will remain one of the fastest growing countries in Europe this year. With slow economic growth and tighter global financial conditions and labour markets, the forecast is for Serbia to expand with 3.5% in 2019 and 3.2% in 2020. This does not necessarily mean that remote employers can get away with less than minimum wages for Serbian remote workers. Serbia has a long history of brilliance in the subjects of maths and computer sciences, which created a strong workforce of engineering talented employees. They also excel in the information technology sector, making them experts in the software development and outsourcing industries. Most remote workers from the eastern European countries work with web, mobile and software development, followed by creative design and writing. Unfortunately, economic sanctions during the 1990s and underinvestment in research forced many of these professionals to leave their country. Thus, remote companies looking for remote workers with web development and mobile experience will hit the jackpot with a remote worker originally from Serbia, and their salaries should reflect the excellent work they are doing for your company.